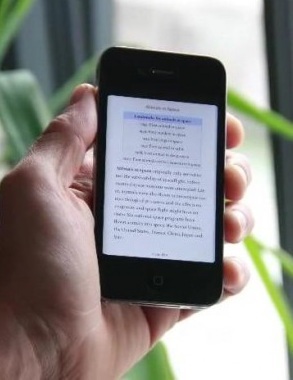 Wikipedia Adds Epub to its eBook Download Options – No More PDF, Yay! As much as I am online everyday I am still reminded that offline still rules the roost. Wikipedia is accessible from any web browser, but even this knowledge aggregator still has to offer a download option, hence yesterday's news. Late yesterday afternoon the Wikimedia Foundation, the parent organization for Wikipedia, announced that their Book Creator service now supported Epub as an output option. So far as I know it only works on the English language part of Wikipedia, and it lets you gather associated wiki articles and automatically generate an ebook. Wikipedia has long offered an option for making PDFs from wiki articles. The service launched in May 2010 as part of their effort to offer print copies via PediaPress. While the PDF file was generated with the goal of getting you to buy a copy in paper, you were always able to download and use the PDF. And while we're on the topic, you can also download the content as an ODF file (Open Office). That could prove very useful for converting to your preferred ebook format, though I would likely start with Epub. It's a useful service, no? If you are interested in gathering articles from other sites in a manner similar to the one which Wikipedia allows you to do here, let me recommend a couple sites. There have been other websites which offered a similar service including GrabMyBooks and a Readability spinoff called ReadLists. It's been a while since I tried either, so I am at a loss to recommend one. I'd say try them both and see which you prefer. First Real Photos of the iPad Mini Leaked Online? Well, I have to say I’m thrilled that Wikipedia (finally) allows you to download to .epub using their Book creator! I tried a sample book, the Wikipedia entry for Tiberius ( http://en.wikipedia.org/wiki/Tiberius ) and was impressed with the .epub ebook that was created. It rivaled the .pdf version. Ya! Now, only if Mobileread.com (and other forums) would allow their wiki Book creator’s to do the same, then I would call that progress (and .epub penetration). Damn, it did it again! All I meant to say was it should include the author or “creator” tag!! !